The Committee met to consider and adopt recent reports and minutes of meetings. The Chairperson urged the Members to study the documents to ensure no errors slipped through, as this had happened recently and had been a cause of embarrassment. The Members supported her request. The Chairperson took the Members through the reports and the minutes. Many of the amendments were simply grammatical of spelling errors, but Members raised instances where substantive issues had been erroneously omitted. They also expressed concern at the lack of cooperation from the provinces, and the fact that they could not always rely on the information that they submitted. At the end of the meeting, the Chairperson thanked the Members for their efforts during the year. She asked them to take time during the holidays to look at their work, as they needed to complete their legacy report next year. Ms N Marchesi (DA) asked whether all the minutes of the Committee were recorded and whether there were tapes. The Chairperson said that not all meetings were recorded. That was the standard practice. Ms Marchesi said that perhaps they should start to do so. The Chairperson indicated that the matter would then need to be referred to Parliament. There could not be an exception for Basic Education. Mr D Khosa (ANC) referred to the improvement in the placement of Funza Lushaka bursary recipients, on page 23. He said that the report spoke only of Funza Lushaka, and there was no mention of those who went to school through their own resources. The Chairperson responded that the report captured the investment that the government was making in those learners, so they were talking specifically of the bursary beneficiaries. The report reflected whether they were getting value for the money that the government had invested in them. In the discussions with the Department, they also include those who were not funded by the government. 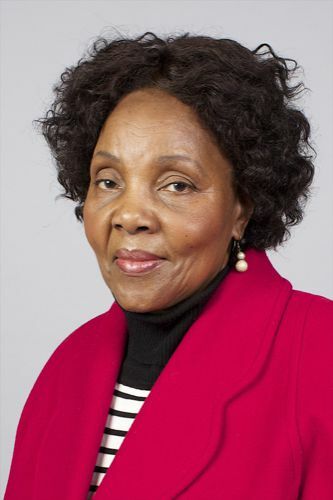 Mr Khosa moved that the report be adopted, and Ms J Basson (ANC) seconded. Report on High Level Panel Assessment of Key Legislation and acceleration of Fundamental Change. The Chairperson took the Members through the 63-page report, page by page. The Committee needed to adopt it, as it would form a significant portion of the report that they had to compile at the end of their term, when they had to complete the legacy report. The draft legacy report would be sent to them, as they would be going on holiday, so they would have to do some homework, and when they returned they would be able to connect all the reports for the legacy report. They had to indicate to the incoming Committee that this was how far they had come, so they could take over from there. Ms Basson moved that the report be adopted, and Mr Khosa seconded. Report of oversight visit to Ngaka Modiri Molema and Dr Ruth Segomotsi Mompati Education Districts, North West Province. The Chairperson took Members through the report page by page. Ms H Boshoff (DA) reminded Members that she and the Chairperson had been at a school for the disabled, where the principal had not been quite sure of what was expected of her. They had requested the Department for the report on how they were going to assist her, but had never seen that report. They had also asked for a full report on the service schools, which they had not received to date. The Chairperson asked that Ms Boshoff keep that in mind so that it could be included in the recommendations that they had. Ms Boshoff said that during a visit to one of the schools, a lady teacher had reported that the technical subject text books had not been received. This should also be recorded. The Chairperson asked Members for a reminder of what school that was, as they planned to include it in the recommendations. Ms Boshoff referred to the bicycles that were to be delivered, where she had specifically asked where the budget was going to come from for their maintenance. She asked that that point be included. Ms Marchesi, Ms Boshoff and the Chairperson pointed out grammatical errors requiring correction. Ms Boshoff said they had asked the Department to provide a report on the procured furniture and whether it would be delivered on time. Although most schools had procured furniture, the furniture was yet to be delivered. Ms Marchesi asked that when they talk of school furniture, she would like for them to be specific about the technical school furniture. There was a specific type of desk that the learners used for drawing, and it was not just tables and chairs. The Chairperson agreed that they should not generalise. Ms Boshoff said that they had requested a report on the purchasing of a systems device, and the report was still outstanding from the Department. Chairperson said that although she agreed with Ms Boshoff that a request had been made, when they say that it was still outstanding, that was a different issue. She clarified that they were dealing with the minutes, which was a report of the things that had happened on the day of the meeting. Ms Boshoff agreed, and asked who was going to follow up to ensure that the report was made available. Chairperson said that that was what they were required to do as a Committee, but it would be improper to say in the minutes that the report was still outstanding. Ms Boshoff agreed and said that they could change the language to say that in the recommendations -- the Committee must follow up to ensure that the report was forthcoming. The same perspective should be adopted when it came to other things that they were expecting so that they were able to show the oversight report and the issues that needed to be followed up. Ms Marchesi pointed out that on nutrition, the idea was not to provide nutrition to learners in Quintiles 4 and 5, but to those learners who come from disadvantaged homes in that area. The Chairperson said that they were not talking about the special schools, and read the relevant paragraph aloud. Ms Basson said that only disadvantaged learners were exempted, but Ms Marchesi insisted that the sentence was not very clear. Ms Boshoff suggested how they could paraphrase the sentence. Mr Khosa said that if they read the sentence twice, then they would understand the sense of it. When they try to change it, it changed the context and became another story. The Chairperson asked the Secretary to assist, but he said he was a little bit puzzled. He had read it over and over again, and felt that the meaning was clear. There were two issues involved, the first thing being about the number of Quintile 4 and 5 schools that were not yet in the programme, and that the second was that there was an audit of exempted learners which was still in progress. The Chairperson suggested that maybe the Committee could highlight that point to say that monitoring needed to be done on the audit and the financial implications, to see how many of the learners were found to be needy in Quintile 4 and 5, and what the province was doing. At the moment, all they were waiting for was the outcome of the audit and the details of the financial implications. All they were pleading for was that those who were in need were put on to the programme going forward, and this was the monitoring part that they needed to undertake as the Portfolio Committee. Ms Marchesi pointed out that in the recommendations, she did not see a reference to the issue of electricity, as there were a couple of the schools that did not have electricity. At the prompting of the Chairperson, Ms Marchesi clarified that it was lights, and not electricity. The Chairperson read out the recommendation on security control, and said that the sentence could be worked upon to include the issue of lighting because it was part of security control. Ms Marchesi said that there had been an issue of costing, aside from funding. The funding of agricultural schools all depended on their requirements. The Committee had seen a lot of gaps, and the costing needed to be added for that particular school for it to be adequately funded. The Chairperson agreed, and emphasised that for the focus schools, it was important that they were funded in the same way the normal schools were funded. The report could emphasise how the Department funded the focus school. Mr Khosa said that the report indicated that at a school that offered sewing instruction, some learners got employment afterwards. The Chairperson asked whether they should expand it a little bit to state which learners they were. Ms Boshoff agreed to the Chairperson’s suggestion, and said that they should take it even further to find out whether some of the learners had been placed in other outside employment, such as hair dressing. Ms Marchesi said one of the challenges encountered had been flooding, and added that this should also be part of the recommendations, because they had asked the Department to assist the school. Mr Khosa reminded Members of the request that storm water drainage should be installed, and that this should also be part of the recommendations. Ms Marchesi referred to the premises that they were sub-letting, and the issue of water or electricity that they were paying a lot of money towards, and that they were sharing the water and electricity costs with the Department. She did not see this in the report. Chairperson asked the Secretary to note it. Ms Boshoff said that on pages 36, 37 and 38, she could not see the Committee’s observations and recommendations. The Chairperson agreed that they were indeed not there. Chairperson then moved to page 39 all through to 46. Ms Marchesi asked if she could correct a sentence so that it read: ‘The Department had not managed to rationalise the rationalisation process.’ She also said that it was not enough to say ‘increase the budget for special schools,’ because there was need to do a costing to know how much they needed to increase it by. The Chairperson said there had been quite a number of corrections made, of which the secretariat had taken note. Mr. Khosa moved that the report be adopted with the corrections, and Ms Marchesi seconded. The Chairperson took Members through the report page by page. from page 1 to page 11. Apart from a few grammatical and spelling changes, there were no amendments. Ms Basson moved the adoption of the report with the amendments, and Ms. Boshoff seconded. Ms Boshoff commented on the paragraph that talked about the Portfolio Committee working together with the provincial legislative committees. She would like to see somewhere an accountability clause with regard to provinces that did not report, because they had tried to work with them, but there seemed to be a problem. They knew exactly what provinces those were, and they should suggest that somebody had to be held accountable. Ms Boshoff said that it had to be brought up, even if that meant that they had to change the legislation. The Chairperson said that it would definitely have to go back to legislation. She and Ms Boshoff should think about it. Ms Boshoff said that many at time when they asked questions, the DBE would say that they must get the information from the provinces. She could not ask a direct question to the province. Because they knew that the provinces did not report correctly, they needed some leeway to see how they could overcome that. The Chairperson said that that directed them to legislation. It was a pity that the Department was not there, but that she was happy that the Parliamentary Liaison Officer (PLO) to the Minister was there. She said it was very much uncalled for, for the DBE to give a response to Members, telling them to go and talk to the provinces. Even when they went to the provinces as the National Assembly, they did not recommend to the province, but to the DBE. There would be a recommendation to the province, but through the DBE. She said that it was a little bit irresponsible, and that she was going to write to the Minister. She also hoped that the PLO was going to take that to the Minister. Ms Marchesi said the section on learner pregnancies, safety in schools, the three-stream model and the 4th industrial revolution, had been presented in bullet point style, and did not say much. The Chairperson said that she understood what Ms Marchesi was saying. Ms Marchesi asked about the reference to the legislative process. Why, despite the Bill being there, was nothing being said? Chairperson responded that the Bill was not yet in front to them and it had not yet even been adopted by Cabinet. There was no legislation in front of them. They had even requested that they be taken on board, but they were one committee with no legislation in front of them. Ms Boshoff asked whether they could get feedback or a report on the oversight trips undertaken. They should be provided with a report on the outcome of the overseas visit, because it was the taxpayers’ money that they used to send people abroad. The Chairperson asked for clarification, and Ms Marchesi explained that Ms Boshoff had been talking about the New York trip. 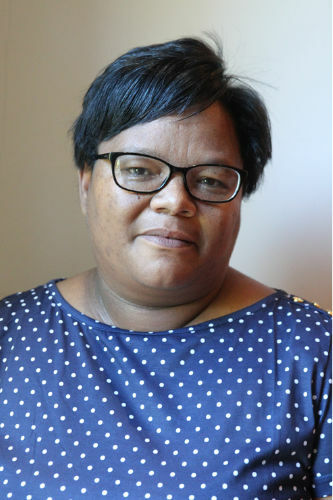 The Chairperson said that this did not go to Parliament, as she was just invited by the United Nations Educational, Scientific and Cultural Organisation (UNESCO), and she could share the report. Their Committee had undertaken no international trips. Ms Boshoff said that she retracted her request, and then referred to the Committee’s visit to Mpumalanga. She complained about the travel and accommodation arrangements, saying the long trips to and from the venue, returning at night after a long day, had put their lives – and their drivers – in jeopardy. Members should get advance information as to where they were going. The National Council of Provinces (NCOP) send officials ahead of time to check the area to ensure their Members did not get lost in the morning. This was one of the logistical issues where the National Assembly was falling short. Chairperson said that that was noted. Ms Marchesi referred to a petition that a DA Member had brought to the Committee. She did not know what the process was if somebody petitioned that they wanted a school to be built in a certain area. The Chairperson said the process was that whoever initiates the petition, writes to the Speaker of Parliament on whatever topic they want to, and the Speaker would indicate which Portfolio Committee was supposed to address. The Petition would then be forwarded to that Committee through the office of the Speaker. Ms Marchesi asked that when the petition gets to the office, what they were expected to do. The Chairperson responded and that they were then expected to listen and to have the details of why the petition had been made. She gave an example of the one in the report, and said that the petition had been on the Housing Department. It had been written to the national Speaker and also to the Speaker of the province. They had had to call the people from the Gauteng Department and had presented the petition to them and asked them for their views, as they had called them for a discussion with the people who had petitioned. She gave an of a petition that they had received from the Eastern Cape, and another that was about private schools that were not well paid. They had had to call those schools and hear what they were saying, and that the Department had been there to respond. They had had discussions and resolved the issues, and then written a report to the Speaker, after which the Speaker would take the process forward. At Ms Marchesi’s request, the Chairperson clarified that for the petition referred to in the report, they had been represented. The Gauteng provincial DBE had been there, they had had discussions, understood each other, and there was a report. She said that at the Portfolio Committee level, the matter was closed and they had taken the report back to the Speaker. Ms Boshoff asked when the Committee could get any feedback from the DBE with regard to the memorandum on gender-based violence. The Chairperson said she would ask the secretary to follow up on that. They could even give it priority and say that the DBE should present a report it to the Committee early next year. Mr Khosa moved that the report be adopted with the amendments, and Chairperson seconded. The report was adopted, with the corrections. Portfolio Committee minutes on Basic Education for meeting held on 9th October 2018. Ms Boshoff referred Members to the point on learner support programmes on page 5, and pointed out a grammatical error. Mr Khosa moved the adoption of the minutes, and Ms Basson seconded. Ms Basson moved the adoption of the minutes, and Ms Meso seconded. Ms Marchesi said she remembered that the presentation from the Education Labour Relations Council (ELRC) had been about the legislative framework for making teachers who had been in temporary positions to be permanent, and also the issue of teachers who resigned from the system and came back with the expectation that they would be at the same level that they had been at. She did not see that highlighted there. Ms Majeke moved the adoption, and Ms Meso seconded. Ms Basson moved the adoption and Mr Khosa seconded. The Chairperson said that even before they adopted the minutes, she hoped Members had taken note of the school in the Eastern Cape which had been featured in the news, where it was said that the learners were moving and borrowing. The one issue they raised was the question of how truthful the data was that they had received from the provinces. She reminded Members of the day they had the discussion, when they had found out that there was a school which was not included in the list of the backlogs. If they found that that other school was not part of the backlog list, it would mean that data had not been well collected and verified. They would need a dedicated team to go to the province so that they could get a true reflection on the backlog. She said that as per her request to the Department, she was still waiting for a response so that they could establish whether the school that featured in the news was part of the backlog. Ms Marchesi said that it was worrisome, because there were actually people who were designated to do this audit as their job. The Chairperson agreed that it was a concern, but they would wait for the response. Ms Boshoff asked about how the Committee could know that they could trust the provinces to give them the correct information, because if the provinces kept dropping the names of the schools in their reports, but they kept on finding out about others, she did not know how many of these schools were there. The Chairperson reiterated that it was indeed a problem, but they could now look into sending dedicated teams to the provinces. She said another concern was that if the trend continued, there would need to be a prioritisation of schools. They had to know what was happening on the ground. She wondered if the provinces were hiding information. The Committee had to engage with the Department on the issue. Ms Majeke suggested that as they speak to the Department, would it not be better if they could do a breakdown in terms of provinces and wards, so that when these schools were referred to in newspapers and news, they would know the situation exactly. Ms Basson said that schools in each and every district must be listed. They should then publish them so that the schools which had not been listed could see for themselves that they were not listed. It was true that the Departments, especially in the Eastern Cape, did not know their schools because every time, the information that they give them does not tally with what was on the ground. They should publish the lists, using the local media. Ms Boshoff proposed the adoption, and Ms Meso seconded. Ms Meso moved the adoption, and Mr Khosa seconded. Ms King moved the adoption, and Mr Khosa seconded. The Chairperson thanked the Members and said that they had cleaned up their backlog for the year. This had been the last meeting of the year. She said that it had been a long journey and that they had started the year with some Members, but had ended with others. She said the Members should go and enjoy the little time that they would be having with their families, but they should dedicate most of their time to their work. The first meeting would be on 3 January 2019 on the release of the examination results, and towards the end of January they would have an oversight visit.